Thatch is the layer of dead grass that sits between the green part of your lawn and the ground beneath. 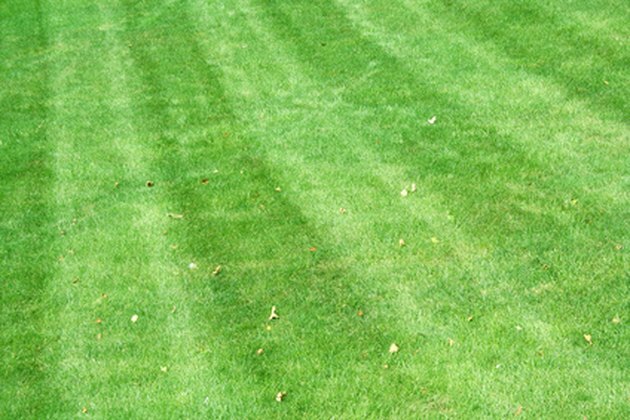 If thatch is allowed to build up, it can weaken the lawn and allow large parts of it to eventually die off. There are special rakes and machines that can remove a layer of thatch, but there also are special lawnmower blades that can be used to attack thatch. They mostly look like a regular lawnmowing blade but have plastic tines or metal springs that hang down and whip the thatch out of the yard. Hardware stores and home improvement retailers sell these blades. Use a special dethatching mower blade to remove thatch buildup. 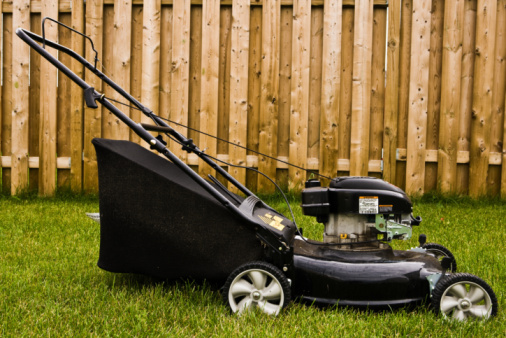 Detach the spark plug wire and tilt the mower on its side. Identify the spindle bolt holding the old blade on the underside of the mowing deck. Place a wood block between the blade and the mower deck to stop the blade from turning. Remove the spindle bolt with a socket wrench. Set the old blade to the side. Place the new dethatching blade on the spindle with the springs or tines facing down toward the ground. Tighten the spindle bolt to secure the new blade to the mower. Reattach the spark plug wire. Set the mower deck height as high as possible. Mow the yard as you would normally. The tines or springs will remove the thatch as you mow. Adjust the mower deck height to make sure the tines are spinning into the thatch. Replace the dethatching blade with the normal blade by repeating the above steps in a reverse order. Rake up and discard excess thatch that the mower has removed.